We want to do it all, and we want to do it well. But finding time to fit everything into a day including a productive training regimen can generate some unnecessary stress but with these 10 tips, you will not only manage your available training time, but you will yield high gains and be able to better manage the other priorities in your life. 1. Train when no one can see you. Yep, train invisible. Get up early, even at the crack of dawn, get on the trainer, get in the pool, lift weights, run on the treadmill, or whatever it is, and get it done. Be back home or at work early and you’ll look like a superstar. On top of that, you don’t have to worry about getting out of work every day wondering if you’ll be able to get your workout in. 2. Double up your short workouts. I love to see athletes do a short hard trainer session – complete in 45 minutes and go right into a short quick brick run. Same for swimming and weights – for the swim, get in, bang out 10×100 and then get some strength training in. 3. If you can sneak a long run in during the week, do it! This frees up time on the weekend for other priorities (your family, partner, or spouse). 4. 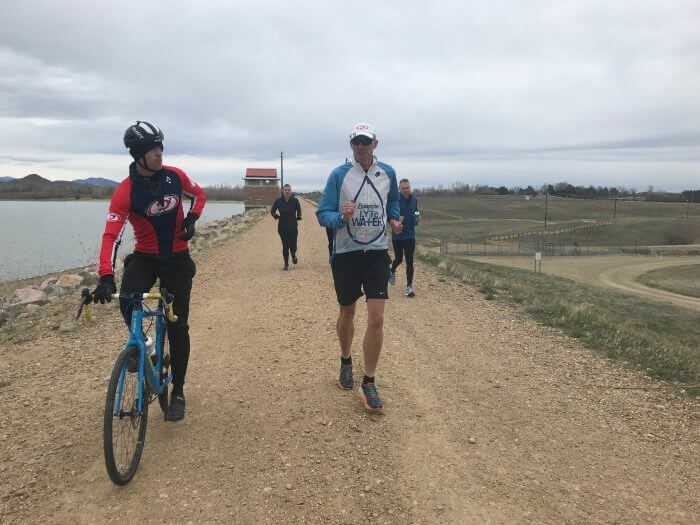 If you can’t get a long run in during the week, yet you are feeling pressure at home for your time on the weekend, alternate the long bike and long run on every other weekend. This gives you one weekend morning to sleep in and be present for other priorities. 5. If you can’t hit the weight room, then a set of body weight exercises can do the trick. Try the following: 10 burpees, 20 squats on the minute for as long as you can do it. If it takes you 40 seconds to get the burpees and squats in, then you have 20 seconds of rest. 6. If you are traveling and can’t find a gym or treadmill to get your run in, use the staircase as that provides a lot of opportunities to simulate running and you will get your HR up which will yield an effective high-intensity workout. 7. Put a dash (or more) of intensity in your workouts each day. This could mean 10x 50 fast in the pool, 12×30” all out on the bike trainer or 6×30” strides while running. Keeping your body tuned into speed allows you to get back after it and into race mode much easier. 8. Eat clean and don’t waste calories! If you like dessert, that’s fine, but have it on a day where you get in a high-intensity workout. And have it at lunch vs. at dinner where it will sit in your gut overnight and really do nothing but become extra weight down the road. 9. Sleep is essential! And if you don’t sleep enough, then you’ll get up tired, have a less thanstellar workout, feel bad about it, eat badly and then the cycle repeats again the next day. Good sleep yields good decisions. 10. Set weekly goals and turn them into monthly and annual goals. All this working out is fun, but you need to have goals no matter if you’re a “Let’s have FUN” kind of triathlete or a “Let’s get on the PODIUM” triathlete. Goals lead you down the road to where you want to go. Write them down, tell them to your best friend, and stick with it. Mike Ricci is the owner and head coach of D3 Multisport. 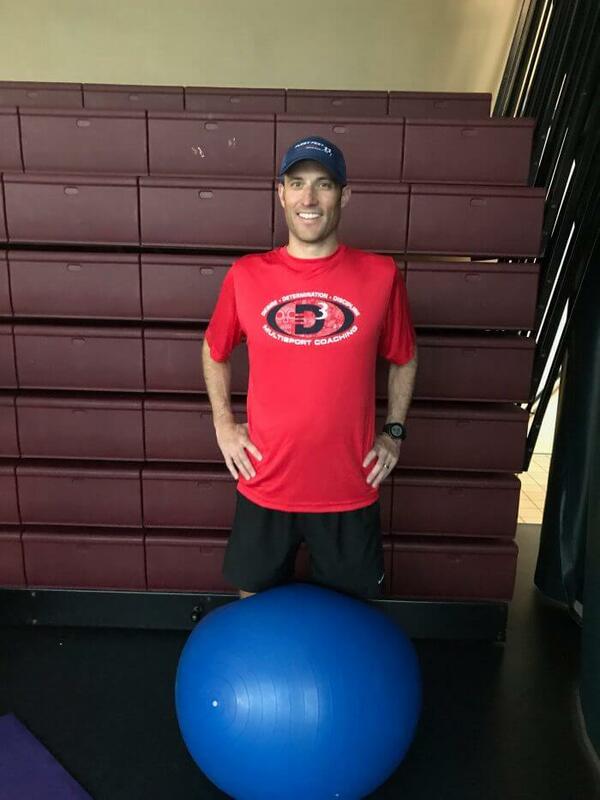 He is a former U.S. Marine with a penchant for helping athletes maximize their training time with focused and effective workouts. He is a USAT Level III (one of only 16) Certified Coach, has been honored as the USAT Coach of the Year and thrives on helping athletes who never give up, have big goals no matter how fast they are, are moving from short course to long and who have time constraints and need to balance their love of triathlon with the rest of their priorities.